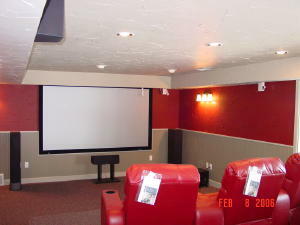 We have converted the existing lower level of this great Northern Michigan home and converted it into a tremendous Home Theatre. The thumbnail page is an overview of all the photos to date. Click on a thumbnail to see that specific picture or click on the date to see the status and the progress of the job.